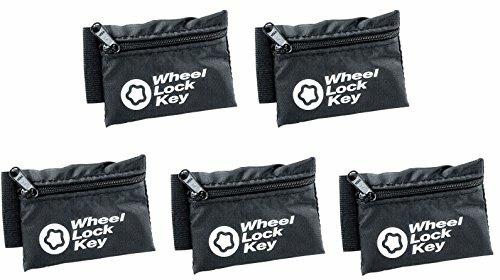 This handy nylon pouch can hold wheel lock keys and SplineDrive tools. It features an elastic loop on the side that slips over most lug wrench shafts. The zipper on the pouch keeps the contents secure for convenient storage and helps prevent misplaced key and Tools.